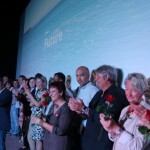 The Socialists more than filled to capacity the Jayan Cinema in Xàbia Port. 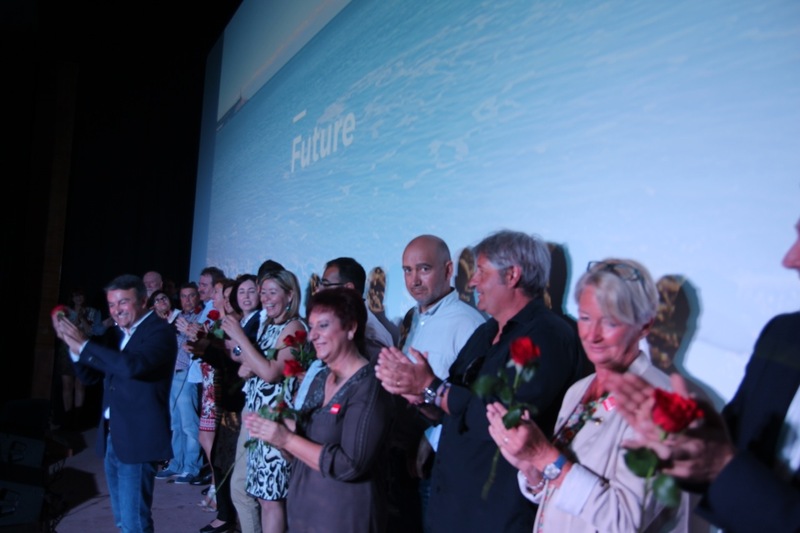 The mayor and candidate, José Chulvi said that in this election the future of Xàbia is at stake, for the next 20 years. The General Secretary of the PSPV, Ximo Puig, also endorsed Chulvi and said that he is “the best possible mayor and would have the doors of the Generalitat Valenciana and the Alicante Provincial Government open to him”. 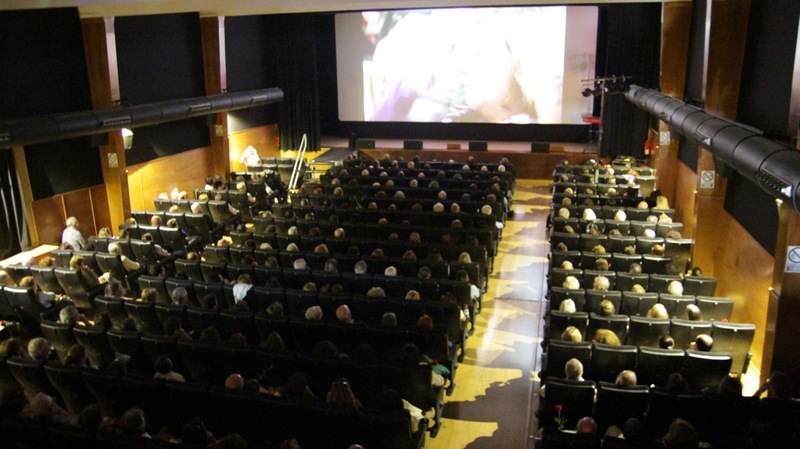 The Xàbia PSOE made the historic Jayán Cinema seem small, for their coming-out in force, for the May 24th elections. 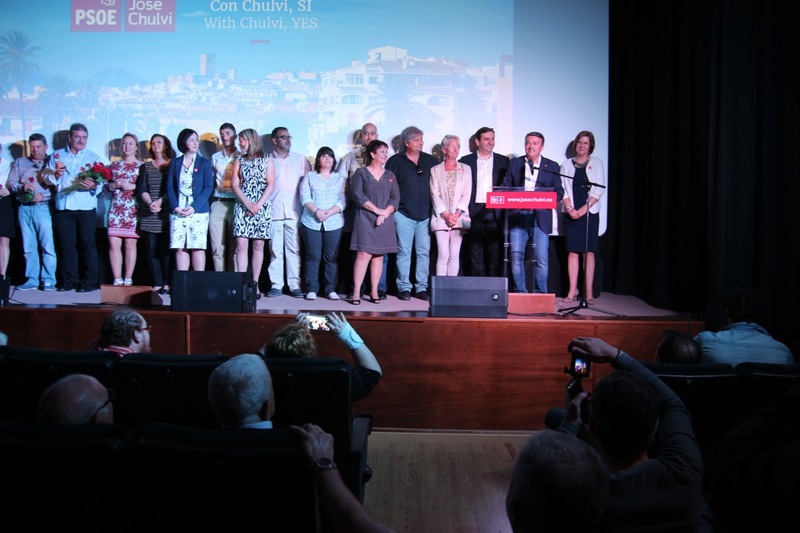 José Chulvi’s candidates received their first public acclaim ahead of the upcoming election campaign, which underlined that the relationship between party members and supporters remains very high, especially after a successful term in government. 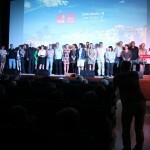 Among the attendees, were many representatives of the PSOE in the Marina Alta, such as Dénia, Calpe, Oliva, Pego, El Verger and Jesus Pobre. The event had a strong cinematic flavour. 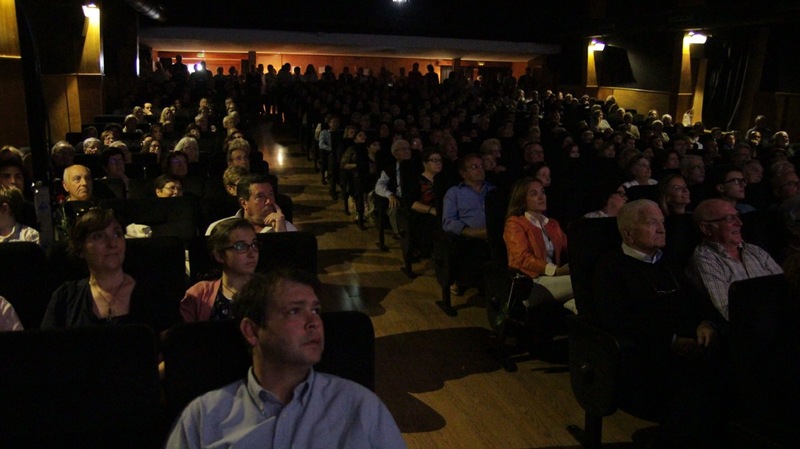 A video was shown which presented the individual profiles of each of the candidates on the electoral list, and a recording was projected of Ximo Puig the general secretary of the PSPV, and candidate for the presidency of the Generalitat Valenciana. 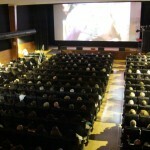 In his message, Puig endorsed Chulvi as “the best possible mayor” and assured him that the doors of the Generalitat Valenciana and the Alicante Provincial Government would be open to him, in contrast to the sometimes difficult relationship that Xàbia currently has with the Valencia and Alicante institutions. 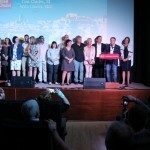 After these videos, an in-depth interview was screened of the Socialist candidate, José Chulvi, with journalists Josep Torrent and Inma Aguilar, in Xàbia’s Casa del Cable. During this, Chulvi reviewed the achievements of this current legislature and addressed the challenges of the next four years. 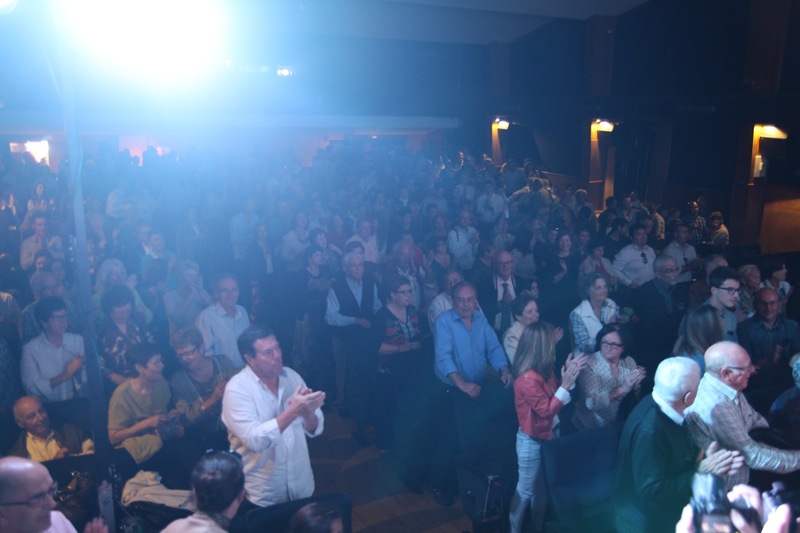 The PSOE candidate for mayor did not avoid any issues and referred to errors in the coordination of the extinguishing of the fires of September 2014 on La Plana; the possible incorporation of the town’s refuse collection as a municipal public service, the change in style introduced into Xàbia’s politics, and his relationship as Mayor with the other political parties. Chulvi said that ahead of this election he feels “even stronger and with more enthusiasm than in 2011”. 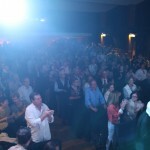 After this, the electoral candidates took the stage and received a standing ovation from the audience. Then it was time for the appearance of José Chulvi, who took the floor to make an emotive and political speech in Castilian, Valencian and English. With regard to political issues, he gave an overview of the achievements of the legislature, divided into the tangible (works related to small town planning, road resurfacing, street lighting upgrades, remodelling of avenues, squares …) and intangibles, such as the change in style of Xàbia politics, electronic administration, use of social networks as a channel for effective communication, employment boards and help for social services. 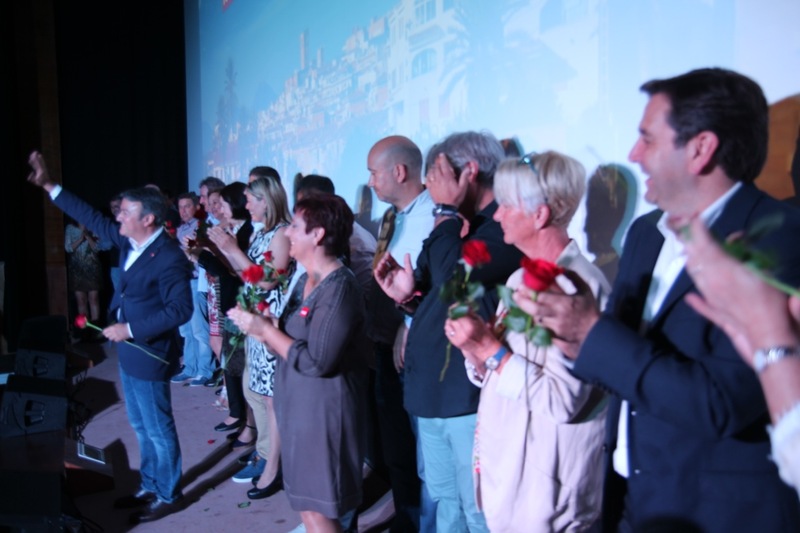 In a similar way José Chulvi reminded everyone that by his decision to relinquish his salary, and not earning one euro of salary as mayor of Xàbia, this financed activities that were not even in the electoral programme, a programme which has been more than 90% fulfilled. 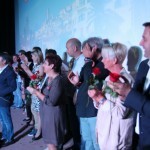 Even before the election campaign begins, the Socialist candidate stressed that “no one will hear us say a bad word, that’s not our style,” but he highlighted the differences between the parties which are standing for election, and pointed out that there exist “antagonistic” projects and visions for Xàbia. He also stressed the point that “in these elections there is much at stake, because they will decide the future of Xàbia for the next 20 years. Xàbia is a coveted place and despite the damage that was done in the past, even more damage could be done. All that has been achieved in protection and harmonisation could be lost “. 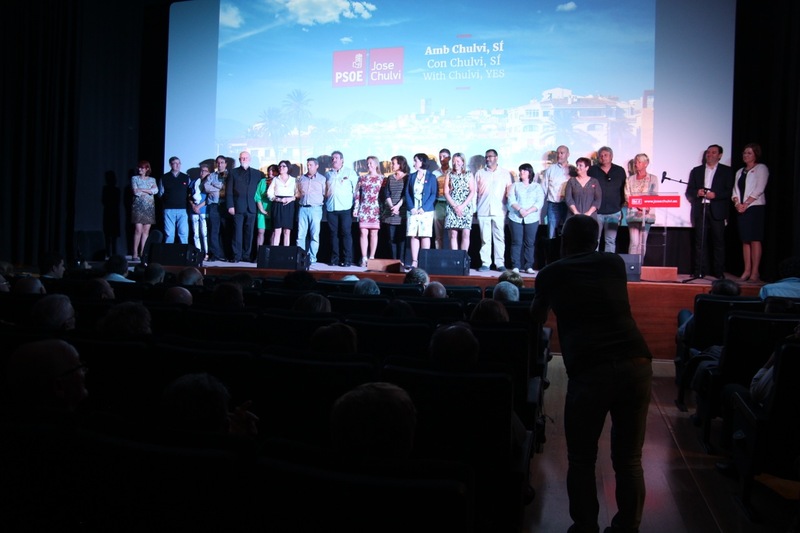 Chulvi expressed his conviction that the PSOE will win the election, and expand its current representation of six councillors to obtain a sufficient majority to govern. He also pointed out that in May there will be a change of government in the Generalitat Valenciana and that Xàbia should be part of it. Finally, he asked help from the party members and supporters for the PSOE project to move forward with the changes initiated in 2011. “You are needed. We need your strength to continue for four more years with the work which we started. And remember that we are not going to fail. Neither will I fail you,” concluded Chulvi to the audience, which rose to its feet to give a long standing ovation to all the candidates.